Today I had a friend and former Crockett student, Caroline, come to campus to 'interview' me for one of her grad school classes. I had a great time talking education, ethics, policy, and vision with her. 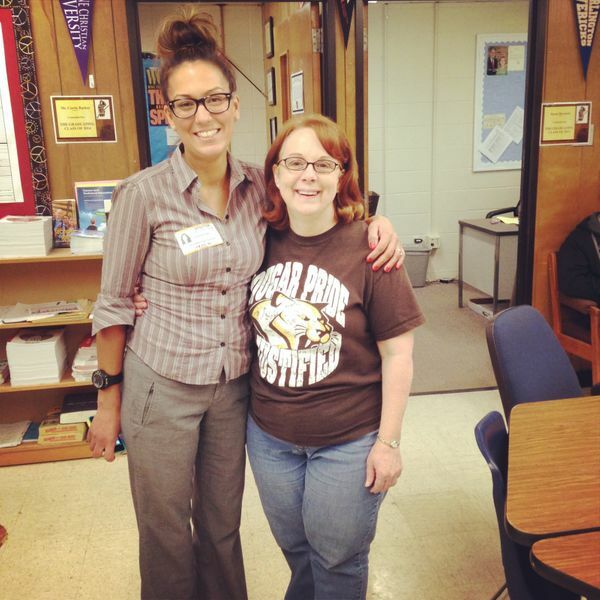 After we were done with her questions, I 'reunited' her with her former English teacher (now counselor), Ms. Barnard. As Caroline mentioned the first names of her high school friends, Ms. Barnard would immediately say their last names; she remembers every one!